This is a shot of Joshua from Guy Fawkes night (a.k.a. Fireworks Night) back in November holding his first sparkler. One of the many pictures I have not shared yet on the blog. My poor blog and readers deserve an update... there just doesn't feel like much to be said. Life is in a routine mode right now with school and weekend schedules running our days. Baby Sumner #3 is 15 weeks along and still making me as sick as ever. The doctor finally took pity on me and has me on anti-nausea medication, mostly because of dehydration and weight loss. Now I keep food down, but just have the side effects (mostly being even more tired than usual). Darren is writing in full speed right now, hoping to get enough done before the baby comes. He works into the evenings most days, putting in about 10 hours a day. I am excited to see him working with such momentum again after being forced by other obligations to take a break for several weeks (including taking care of the entire family because mommy was too sick to get up most days). Joshua is thriving at school and so excited to finally be able to read. He is still building his sight words, but can figure out many words by context. It is pretty fun to have him reading books to me! Abigail is loving her preschool as well. She gets so excited about going every day. Her favorite activities include painting, water play, song and dance (you should have seen her scottish ceilidh dancing on Robert Burns Day) and play dough. Who wouldn't love it!?! The weather has been warm for a winter here, with only one brief snowfall and the temperatures staying above freezing most days. The daylight is slow returning and we now have over 7.5 hours of light each day. I'm just waiting for all the castles to open again so we can do a little more tourism before our time here comes to an end. And that is our life right now! Yes, that's right, Sumner Baby #3 is on the way! 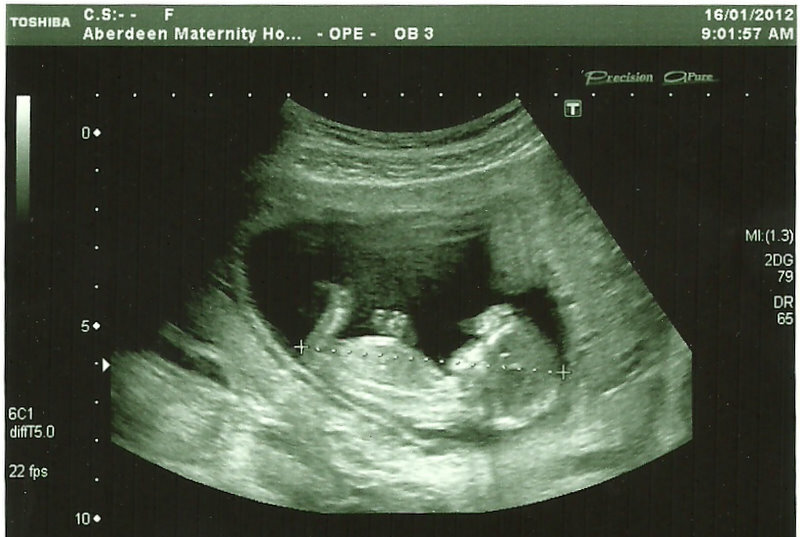 We had our 'dating scan' today where they measure the baby and decide my official due day (a whole week earlier than I had expected). Based on how big the baby is already our official due date is July 22. I am 13 weeks along and at the end of my first trimester. Check back again soon to follow more baby news and the continuing adventures of our family. I will try to be a little more faithful at my updates.